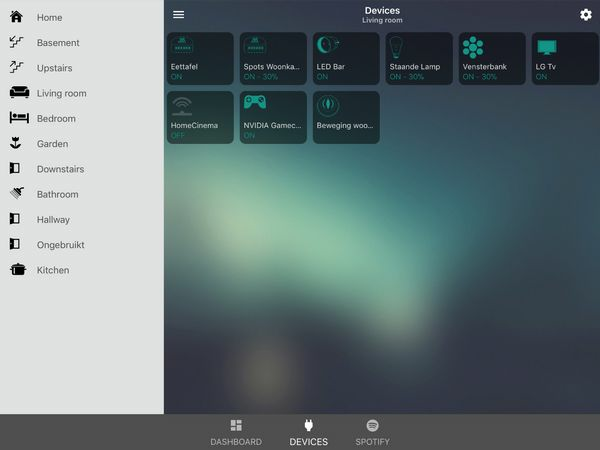 HomeyDash is a dashboard that can be used to control devices paired to Homey and show information like weather, news, media etc. To use HomeyDash, go to https://homeyda.sh and login. 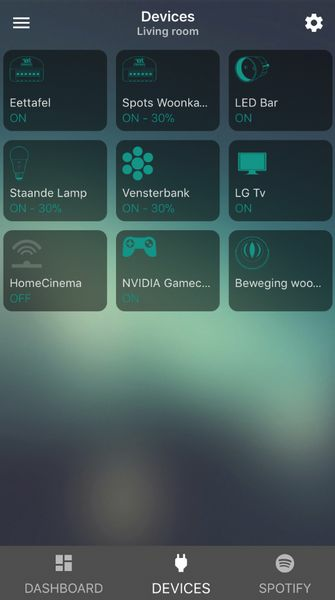 You can pin HomeyDash to your homescreen on iOS and Android. Long press opens the popup with more info. Current release isn't considered stable and 100% functional yet. First make sure the bug hasn't been reported yet. New bugs found can be submitted to the GitHub Issues . And if you already know a good solution, feel free to make a Pull Request! Pull requests can be done on the develop branch. Until the master branch isn't stable enough (and is considered alpha/beta) the develop branch won't get build and pushed for now. After the master branch is more stable, i will auto build the develop branch to a seperate sub-domain. 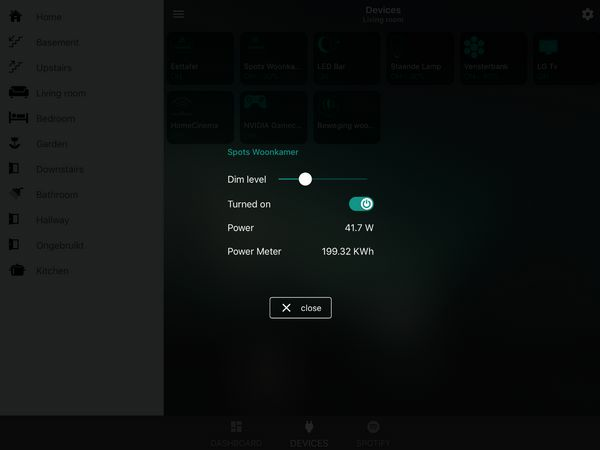 Added general sensors and windowblinds with dim support yesterday. Both still need some work but should be functional. 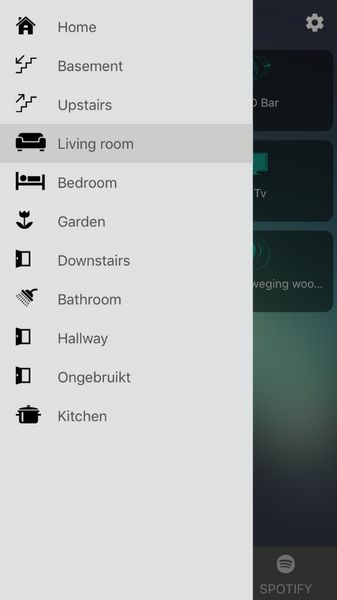 last things missing should be thermostat control, speakers, vacuum, dumb windowblinds. Am i missing something? This is awesome mate! Cannot wait to get my house and wall mount a tablet! But is really starting to look nice now! Just saw it briefly, really like the idea! What about adding virtual devices, so you can 'initiate' a flow? As far as I know, this is possible with the BetterLogic bitflip device. plus it should find the other class with the onoff capability as well. So indeed should be possible already..
Just the buttons aren't supported yet tho! If that is integrated you can make a 'Virtual Device' of a flow and than add this to the dashboard. @Caros Then it might depend on what virtual device. 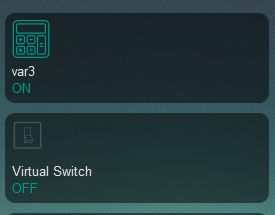 Like @bvdbos mentioned a Virtual Switch should work. @swtt I see thanks, I've used the wrong one. Great work, I only have one security concern. I allow a website I don't know to take full control of my Homey and my Home........... Can I install the software on my one server at home? Or are you planning on running this software as an app on Homey as well? Other then that, the complete code is opensource and build automatically from github. Edit: Because of the same callback url this won't run on your own servers as well. It needs to be run from homeyda.sh for security reason You can spawn a dev server using the readme on github. But this would only work on your desktop. I don't mean to be a 'hater', but what's the point of this? I don't really see what this adds compared to the Homey app (mobile, desktop). Again, don't mean to be rude, looks very good but I guess I just miss the use case for this? Tried the current app on a tablet and put that on the wall? Where the current homeydash app supports buienradar, rss feeds and (partial) webcams. These will be added to the webbed version as well. 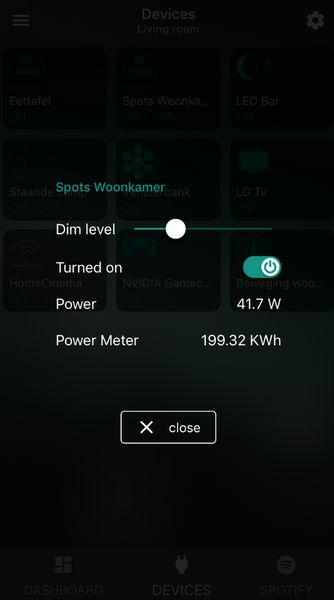 I would really like to see, possibly on a separate page, an overview of total power consumption, possibly with consumption yesterday and today, last week, last month, last year and so on .. It kinda would depend on Insights tho. Looking great. Can't wait to see the Dashboard implemented!! A few capabilities left to add. Thermostat, Button, speakers and vacuumcleaner.. I'm curious how the dashboard part will look and work, but if it work just as good as the devices part, it will be great! I use the homeyda.sh daily instead of the official Homey apps.. the devices part is so much faster than the apps from athom. Makes a lot more sense now, thanks. Might even try it myself at a later point Webcams sounds very promising and is definitely something I am missing at the moment. Is it possible in the new homeydash (wen its ready) to stream a rtsp:// videostream? Not sure yet on how, but am looking into it. By the way, i have added a test to the dashboard for drag and drop. Can you guys test on different devices how dragging the 3 boxes is working? Works fine here on Nexus 5X, Android 8.0, Chrome. Only drag and drop, no grid snapping.